Glory Be Quilter: My Little Birdie Embroidery Quilt is done! 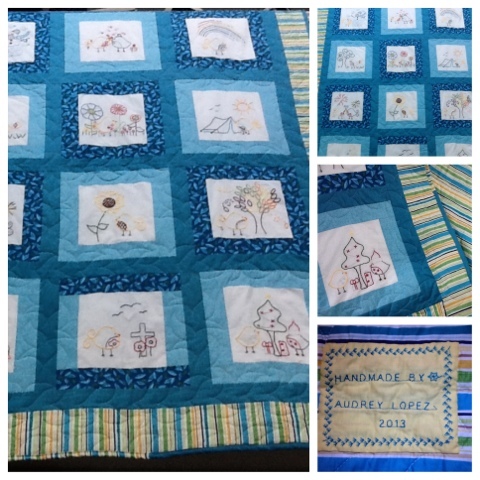 Here is a look at the finished Little Birdie Embroidery Quilt. I started shortly after Christmas. Finished it today with a label. One and a half months but I had holiday free time in there.